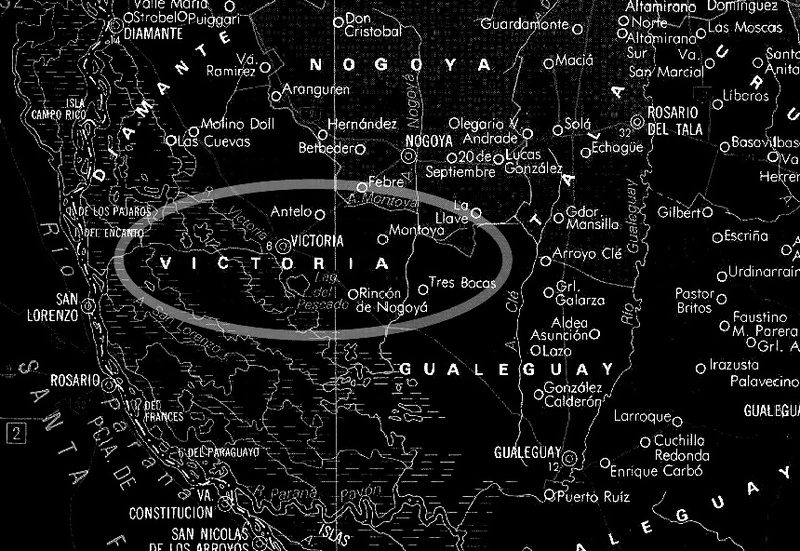 One of the most significant cases in Argentinean ufology took place on October 16, 1992 in Victoria, Province of Entre Rios. 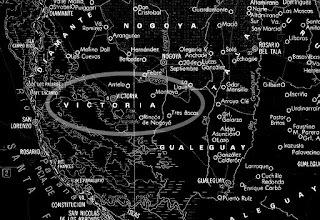 Its protagonist was Modesto Colman (Cota, to his friends), a man of great valor, a cattleman, but also the caretaker of a field adjacent to his own “chacra” (farm) whose owner was a butcher surnamed Spíndola. One night, Cota forgot to shut the mill on the field, and the time being 22:30 hours more or less, he went back to take care of this oversight, taking the opportunity to see if what people said about UFOs was true at that location. Personally, he did not believe in the subject. He said they were “un bolazo” (an obvious lie). To do this, he sat on the edge of a water tank to smoke a cigarette while looking at the infamous Laguna del Pescado lagoon, hoping to see what everyone was talking about. Suddenly, the area lit up like daylight, and Colman could not believe what his eyes were seeing. Only a few meters away from him, he saw an object suspended in the air, measuring approximately some 10 meters in diameter. At that moment he felt that his body had shrunk down “like a doll” (he wasn’t sure if it was on account of the fear). The first thing he did was take a knife from his belt, since he could see what looked like three small beings descending from a ladder. They began trotting (according to his description), and he described them as “little storks”, very white and well-lit. The first thing Colman exclaimed was “what the hell!” but the worst thing happened when the object began firing beams of light at him. He sought shelter behind a Tala tree (Celtis tala). Right beside him was his dog Siroco, to whom he said: “Come on, buddy, this stuff isn’t for us.” Just then, another ray of light burned the tree, burned his face, and hit the dog, who died shortly after. Colman managed to leave the scene by dragging himself along the grass, leaving behind his shoes, his burned shirt torn by barbed wire as he went over it in his desperation. Upon reaching his home, he tried to look at himself in the mirror, only to realize he could barely see, and started crying as he never recalled doing before. At that time, the property owner’s wife arrived to give him a message. She could not believe his condition. According to her, his eyes were completely red, his pet was dead, and his face burned. The woman gave him an entire blister of aspirin. This, then, is the Colman case, of which there was never any doubts, since it is the case that left behind all of the evidence described by its protagonist: the burned tree, singed from top to bottom along the right hand side, much like half of the experiencer’s face, the burned shirt, and the horseshoe-shaped mark left behind by the object, which measured eight actual meters. We can finally add to this the testimony of the property owner’s spouse, who accurately reported what she saw. Today, we mourn Cota’s passing, not just because he was a witness, but a faithful friend, kind-hearted, he accompanied me everywhere I requested when I asked him to retell his experience. He taped documentaries with us, and we never thought that what he loved the most in life – horses – would be the last thing to see him alive, as he died when he fell from his favorite mount. He will always be in our thoughts. I will never forget him.